The victim of a gang of bullies has been excluded for "fighting and bringing the school into disrepute". 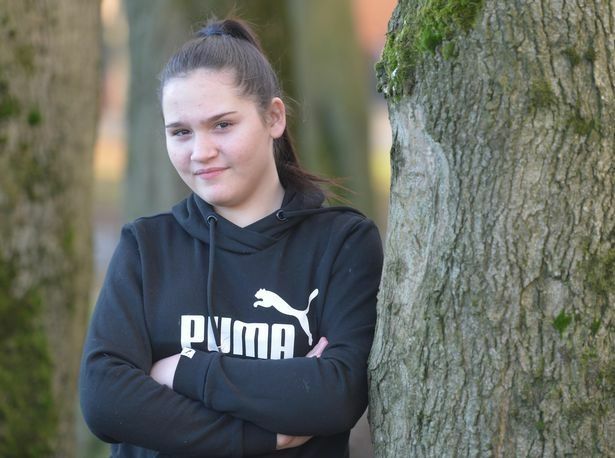 April Ward, 12, required hospital treatment after a sickening assault which was recorded and uploaded onto social media. 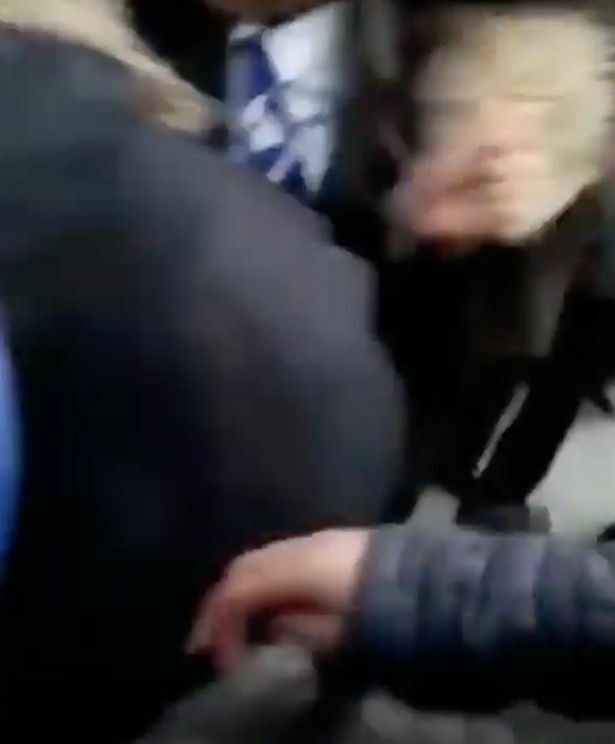 The Year 8 pupil - who attends Cardinal Wiseman Catholic School - was surrounded before being beaten and booted as she screamed for help before falling to the ground, reports Birmingham Live. Just 24 hours after the video was shared on Facebook , the victim's family wanted everyone to see exactly what happened. 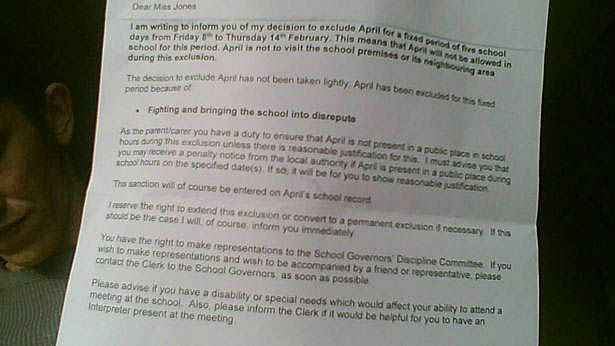 And now officials at Cardinal Wiseman have written to mum Roxanne Jones outlining how April has been excluded. "I can't explain how frustrated, angry and hurt I am for my daughter. "The fact that she has to relive this moment and then to be penalised her education... it's disgusting." "This sanction will of course be entered on April's school record. On Friday, mum Miss Jones said she would keep her daughter at home, and vowed: "She'll never go back to that school." She said: "The way she was circled and ganged up on on her way home knocked me sick. 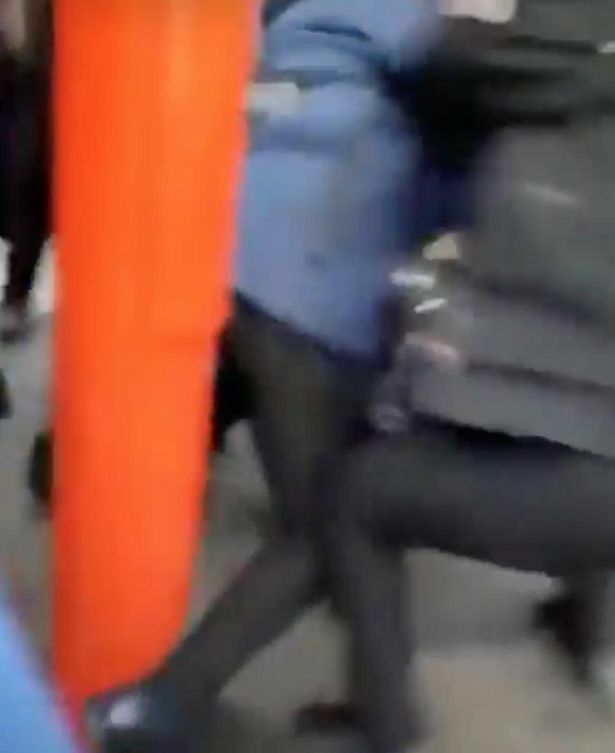 "We want their parents to see, we want the police to see, we want them to see what they've done to April. She's not going back to that school, end of. She's suffered too much. I'm contemplating home school. "She needs a fresh start now away from that school. She's not going back." The victim's aunt, Tasha Jones added: "April's still crying. She's not sleeping of a night - it's all playing over in her head. 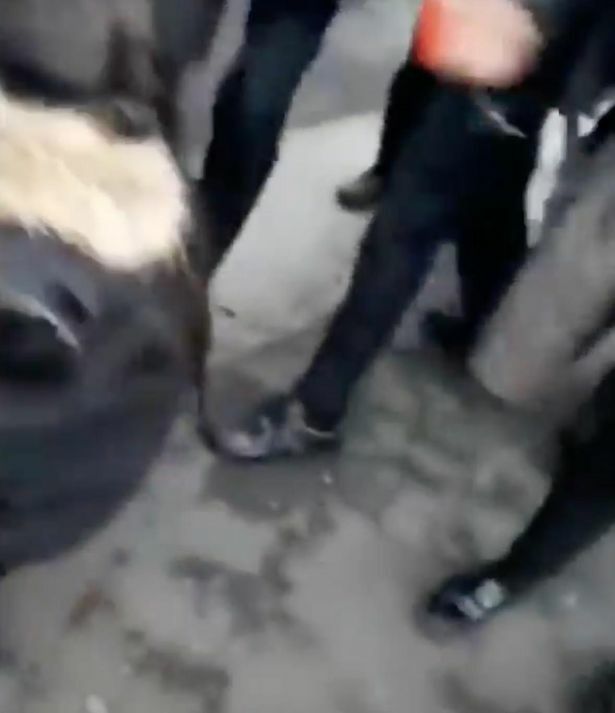 "Everyone's seen the video - and she's being the one punished for it? It's having such an effect on her. She doesn't want to sit around with her family, she's suffering from anxiety and all sorts. In a statement, Cardinal Wiseman Catholic School headteacher Rob Swanwick confirmed an internal investigation is underway.